Of the 350+ weekly blogs I have written about parenting adolescents, the one that has received by far the most reads and correspondance was written back in December, 2011 about the Adjustment to Parental Divorce by Children and Adolescents. So it’s a topic worth revisiting. I still get comments, mostly from young people, to this day, like this recent example. As I suggested back in 2011, age-stage of the girl or boy at the time of divorce can affect their initial adjustment. Children (still focused on attachment to childhood and parents) often tend to have a scared and clinging, sometimes regressive response, acting in increasingly dependent ways to cope with family insecurity created by divorce. “I need them to take more special care of me!” their actions seem to say. 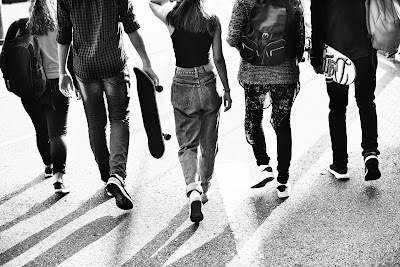 Adolescents (now focused on detachment from childhood and parents) often tend to have an angry and injured, sometimes more distancing response, acting in increasingly independent ways to cope with this disruptive family change. “I’m going to take more charge of myself!” their actions seem to say. Sometimes parents will ask at what age a child can make an easier adjustment to parental divorce, often assuming the older the better, because of increased maturity. But I disagree. The more years of personal history there are with married parents heading the same household, the more challenging the adjustment becomes because the girl or boy has more years of historical investment and familiarity to modify when family life is split asunder. Thus I believe a five-year-old can often make an easier adjustment to parental divorce than a fifteen-year-old, although neither can do so without some pain. The same goes for adjustment to parental remarriage (which happens more often than not) because the five-year-old is capable of accepting and bonding with a step-parent in ways that the fifteen-year-old usually cannot. I believe the notion of “getting over” parental divorce misses the mark. “Getting used” to parental divorce is more realistic expectation. “Getting over” implies putting the experience behind you and carrying on, like it was nothing more than another bump in the road of growing up. “Getting used” to parental divorce means learning to live with an unwanted and painful family change, integrating its consequences in one’s life, and living with some lasting influence ever after. When parents dissolve the marriage children and adolescents feel divided as living with either parent separately serves as a reminder of earlier times when everyone lived together. Children and adolescents of divorce must learn to lead dual family lives. 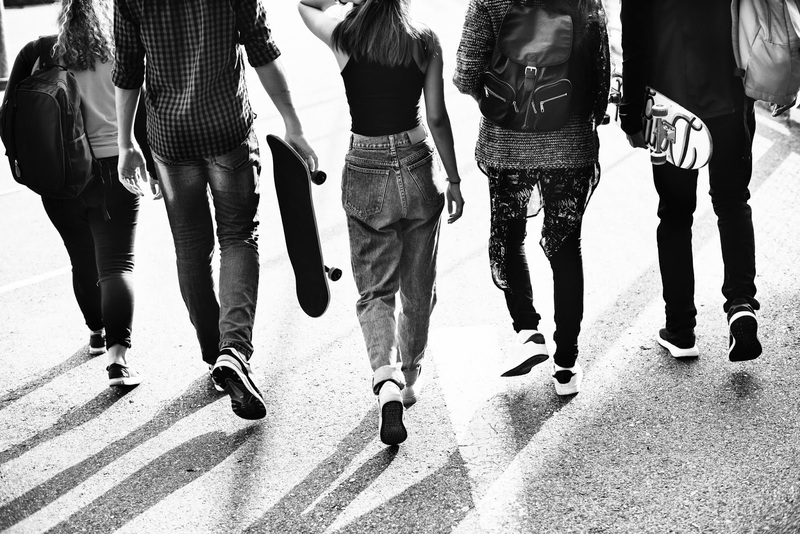 However, while the child is still focused on life in the family circle, the adolescent is in the business of creating an independent social circle of peers with whom spending more time is desired. Thus a child can be more accepting of visitation requirements than an adolescent for whom moving back and forth between households can interfere with a maintaining a growing social life. So what is required for an adolescent to adjust (come to terms of acceptance and learn to live with) parental divorce? One way I think about this adjustment is in terms of ten common losses that parental divorce can bring to adolescent lives. Consider them one at a time. LOSS OF HAPPINESS. Most young people mourn the loss of the in-tact family. They miss some of how life used to be when they lived as an original unit. Unlike children, adolescents (for independence and privacy sake) can be less openly declarative about their unhappiness to parents. Still, it often helps if there is some trusted adult with whom the young person can share this pain and get some emotional support. In addition, talking out reduces the need for negatively acting unhappiness out, which can often make matters worse. LOSS OF STABILITY. Particularly early on, parental divorce can feel chaotic as parental separation and litigation and establishing twin residences and maybe moving living places and schools can create a lot of confusion. It often helps when parents can clarify arrangements and the young person can predict new demands and establish a semblance of order and routine to be counted on. LOSS OF FAITH. Probably the most disturbing lesson for an adolescent about parental divorce is that love can be lost, that love does not necessarily last forever, that the commitment of love can be broken. It often helps when parents at least make clear that loss of love between parents entailed no loss of parental love for children, nor were children a factor in the loss of marital love. LOSS OF CONNECTION. Parental divorce tends to reduce old accessibility to parents – a custodial parent can be much busier and a non-custodial parent can be harder to frequently see. In both cases ease of old contact with parents can be diminished. It often helps when parents make a consistent effort to be available when the adolescent needs to talk or get together. LOSS OF CONFIDENCE. Parental divorce is not a simple family event, but is a complex and challenging one for the adolescent on four levels of adjustment. For example, they have a lot to STOP, like no longer celebrating full family occasions. They have a lot to START, like establishing a visitation schedule. They have a lot to INCREASE, like assuming more self-management responsibility. They have a lot to DECREASE, like having less time with parents and living on reduced resources. In the face of so much change it is easy to feel overwhelmed and hard to feel competent. “I can’t get used to all that’s going on!” This is why it often helps when parents can identify hard adjustments the adolescent is accomplishing so sense of progress can be affirmed. LOSS OF UNDERSTANDING. Parental divorce takes the adolescent from a known experience of family life into one where the present can feel inexplicable and the future unknown. If the divorce hits the young person as a surprise, “I never knew they were that unhappy,” it can often help understanding when parents give some reasons for the divorce, even when they have different explanations to offer. If there was some evidence of parental discord to prepare the adolescent, there are still a host of open concerns about the future: “What’s going to happen now?” It often helps when parents encourage and answer these questions so the young person can better manage her or his ignorance and need to know. LOSS OF POWER. Most adolescents feel disenfranchised by parental divorce: “I have no say about how divorce is turning my life upside down!” It’s easy to feel helpless and angry as parents undo marriage and alter the adolescent’s family life. It often helps when parents can show that to some degree the other side of loss is freedom – freedom from some old restraints and freedom for some new opportunities. In this way they can open up areas of discretionary change where the adolescent can assert some preferential control. LOSS OF FAMILIARITY. When a parent divorces, both by necessity and desire they begin to make a host of personal changes as well that can alter the adult in adolescent eyes. A single parent picks up responsibilities the other parent used to do. Freedom to pursue a new parental interest is allowed. If adult dating for companionship develops into a significant attachment, that new relationship can alter how the single parent used to be. It often helps for the parent to openly to discuss these influences so the adolescent can get used to so much that is new, and perhaps the parent can moderate some of the changes going on. LOSS OF TRUST. When parents, for their own self-interest, divorce and divide the family, the adolescent tends to lose some trust in their leadership, particularly when it comes to parents directing the young person’s life. Consequently the adolescent’s drive to independence tends to be intensified as she or he becomes more dedicated to pursuing their own self-interest. It often helps if parents support this increased drive for self-direction where they constructively can. LOSS OF COMPATABILITY. Parents decide to divorce because they cannot get along. For the adolescent, the hope is that they will relate better living apart than married. However, in an un-reconciled divorce (parents still embittered and embattled) the young person can feel caught in the middle of their ongoing hostility. It usually helps if parents can come to terms of emotional acceptance with whatever differences drove them apart so they can recommit to parent together in the best interests of the children, and for the adolescent to know this ongoing partnership is so. So: adolescents do not “get over” parental divorce so much as they get used to it by rising to the challenge of meeting a host of adjustment demands, a few of which associated with loss have been listed above. In the process of making these adjustments, there can be some gifts from adversity – strengthened resilience, determination, and independence among them. But what parents need to remember is this: although meant to primarily change adult married lives, divorce changes the family lives of adolescents just as much, and maybe more.